Castle Forbes Lavender Essential Oil After Shave Balm is an after shave cream that helps to reduce the onset of razor rash and ingrown hairs. 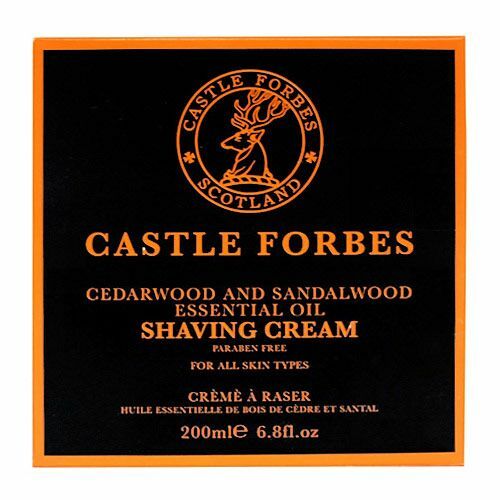 Castle Forbes Lavender After Shave Balm promotes rapid recovery after shaving and also soothes and eases any burning sensation or adverse reaction to shaving. Particularly suited to those with sensitive skin or those prone to shave rash. 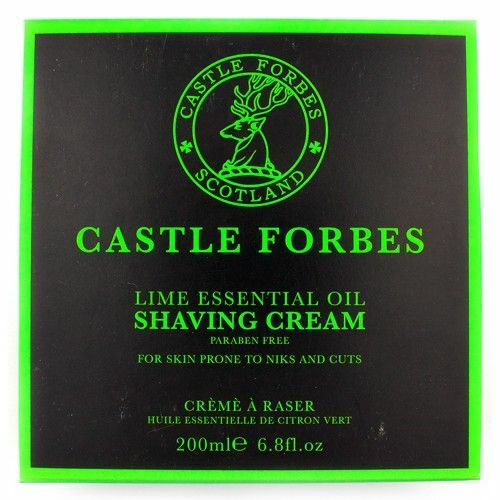 Castle Forbes Lavender Essential Oil After Shave Balm is great for those who suffer the effects of shaving or those who regularly fall victim to ingrown hairs. Formulated fragrance-free, this after shave cream is naturally scented with the aroma of lavender essential oil, and also benefits from the repairing properties that lavender offers. 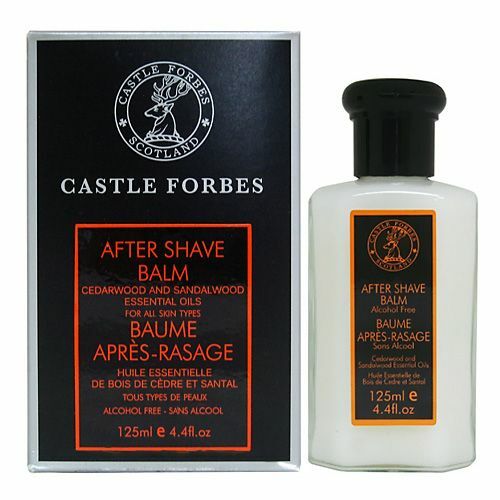 Apply Castle Forbes Lavender Essential Oil After Shave Balm after shaving to calm the area. Lavender is not the sort of scent that got my attention, but this is one of the most soothing and calming balms out there - your skin will thank you for using this! As you take the top off, the scent hits you. Applying this after shaving though, the scent doesn't last, which is good as I wear cologne and don't my balm to interfere with that. Very soothing and calming, any sensitive skin sufferer needs this in their shave den. For a 125ml bottle, this is a balm that will last as you only need a small dab - too much and you will get an itchy, uncomfortable feeling on the face. This cream is so thick it reminds me of ketchup in a glass bottle. I suffer very badly with razor burn/rash, this is one of the only products that seems to offer relief and calm down my redness. Total hydration, smells amazing and helps skin feels moisturised all day long. The shave cream in this range is also very special. Very traditional gentlemen's range.